Our Apprenticeship Program for Military Veterans is a fully-paid position (W2 plus benefits) with on the job learning. The apprenticeship is designed to combine the leadership skills, mission focus and reliability learned in the armed forces with an industry certification to ensure long-term private-sector employability. Our program is designed to help veterans enter into careers in the life-sciences sector (food manufacturing, pharmaceutical, biotech and medical device industries). Our grants cover part of the cost of training and employing apprentices while they work toward an industry certification, typically one or two years. The Apprenticeship Program for Military Veterans is plug-n-play for companies that want to build their Corporate Social Responsibility but don’t have many resources. 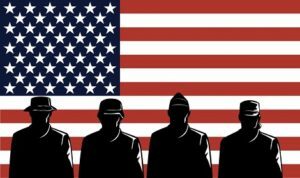 At the end , the military veteran can be converted to a full-time employee by the host company, can convert to a staffing arrangement or MEIRxRS will work to find a permanent position with another employer. If you’re interested in life science apprenticeship program for military veterans please submit your resume at right to reserve your spot the next time an opportunity opens up.